The residents of nine lucky Mississippi cities can get ready to start signing up for lightning-fast gigabit internet connections thanks to C Spire’s fiber rollout. 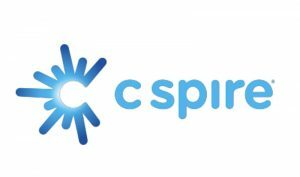 Regional wireless provider C Spire has announced that it is ready for residents of the Mississippi locations to pre-register for its new home fiber connection program. Gigabit internet connections quite frequently make the news these days; gaining popularity amongst residents of the few cities where it is offered, and widely coveted by residents of the many cities where it is not. With high-profile releases such as Google Fiber, ‘gigabit’ has become something of a connectivity buzzword in the last year or so. Just a couple of months ago, southern company C Spire announced that it would soon begin supplying the super-fast connection to a slew of selected Mississippi cities sometime in 2014. Now, with New Year just around the corner, C Spire has begun its call for preregistration of neighborhoods throughout their selected cities. As is typical with fiber networks, though, simply registering is not enough to secure a connection straight away. Residents of eligible cities will need to pay a $10 deposit, but construction on the necessary fiber infrastructure will only begin once enough neighborhoods have signed up.